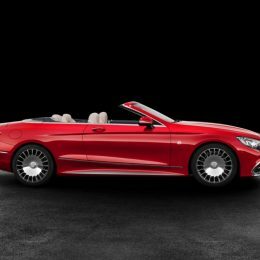 The first cabriolet from the Mercedes-Maybach brand is making its debut at the Los Angeles Auto Show and is all set to hit markets in the spring of 2017 – limited to 300 examples and with a net price tag of 300,000 euros. 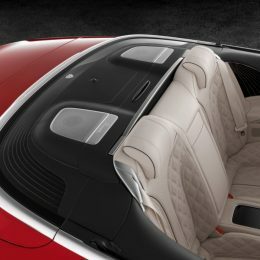 Unique features include nine additional colour concepts for the interior, the trim – optionally with “flowing lines” – plus the hand-finished craftsmanship of the leather seats with perforations in a waterfall-style look. The drive system is a 6.0-litre V12 engine with an output of 463 kW (630 hp). 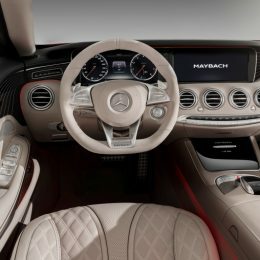 A glimpse into the future of the luxury brand was provided by the Vision Mercedes-Maybach 6, which made its European premiere at the Paris Motor Show just a few weeks ago. 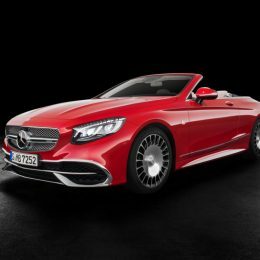 This is now being followed by the Mercedes-Maybach S 650 Cabriolet, a series production model which, embodies modern luxury and represents the design philosophy of Sensual Purity: it is both hot and cool at the same time. 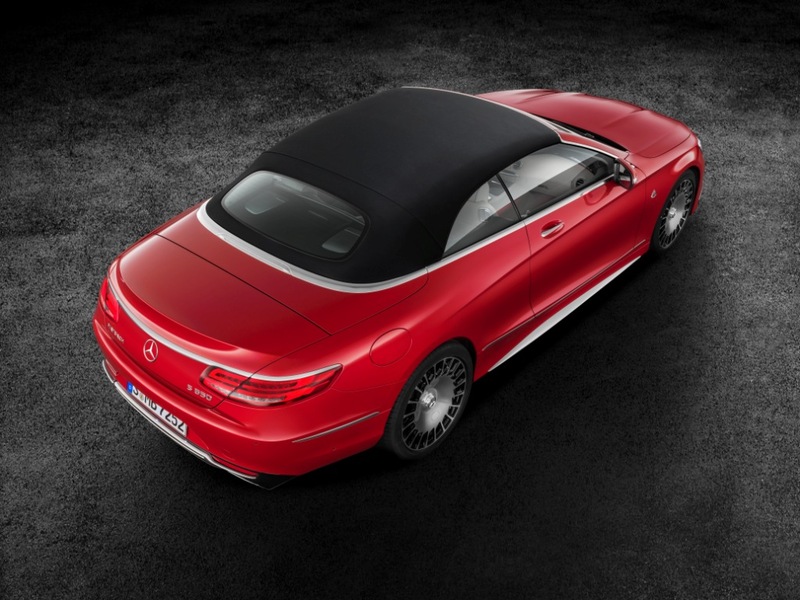 Worldwide just 300 examples of this open-top four-seater model will be produced. 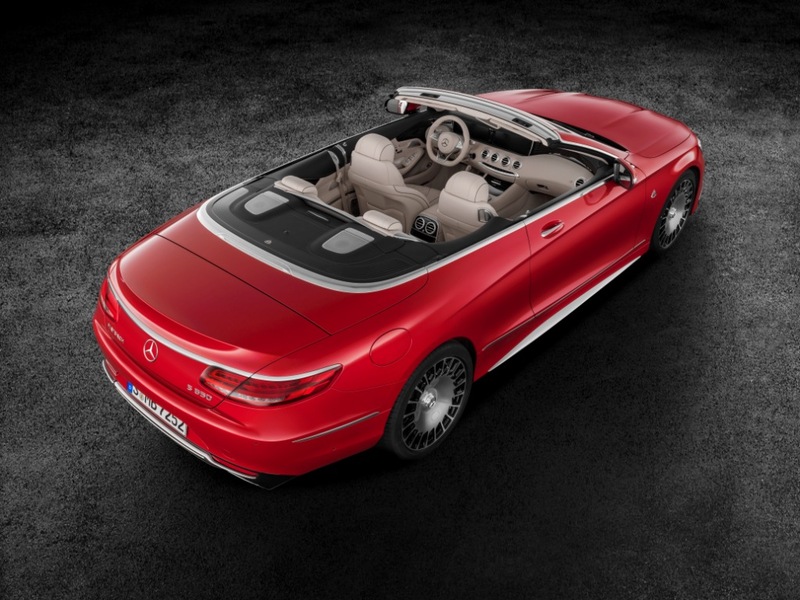 The Mercedes-Maybach S 650 is based on the open-top S-Class and has adopted the latter’s classic proportions, among other features, with highlights which include the dynamic silhouette with coupé-like soft top and the dropping line along the side which slopes down towards the rear. 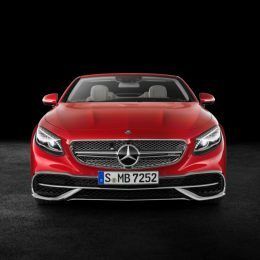 Exclusive Mercedes-Maybach features include a new front bumper with upgraded lower section and also numerous chrome highlights. The Maybach emblem is discreetly but elegantly featured on the vehicle’s wing. Other special elements on the exterior include the high-quality 20-inch Maybach forged wheels in a powerful design with a bichromatic finish. On opening the doors, the Maybach logo is projected onto the floor by means of entrance lighting. 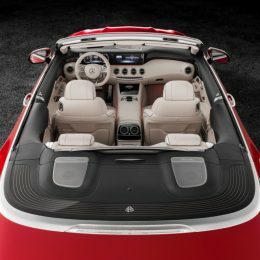 In the interior, the fully leather-trimmed Mercedes-Maybach S 650 Cabriolet brings some of the visionary ideas of the Concept S‑Class Coupé show car (IAA 2013) to series production. These include the dynamic “flowing lines” in the seats. This waterfall-like seat upholstery look is achieved with the aid of progressive perforations. 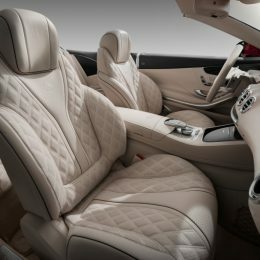 An eye for detail is also demonstrated in the outer diamond quilting on the seat side bolsters and the Budapest piping. 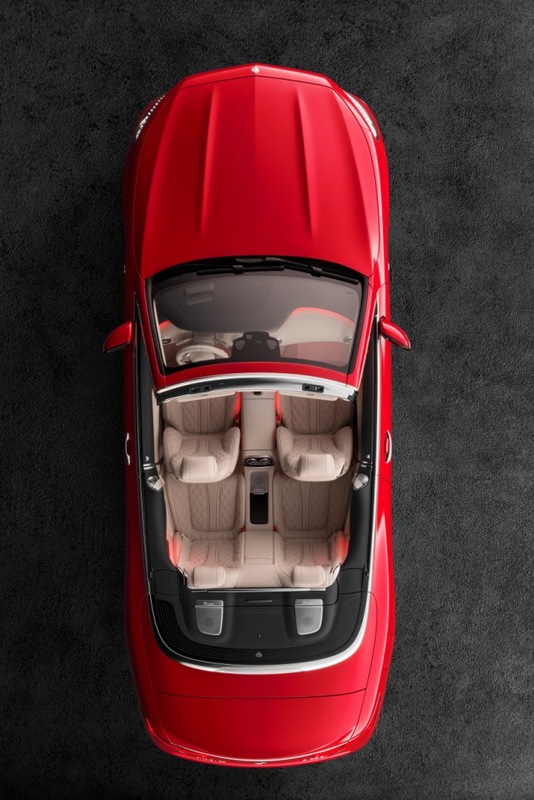 The unique trim elements are commissioned individually for each vehicle based on the colour and grain. 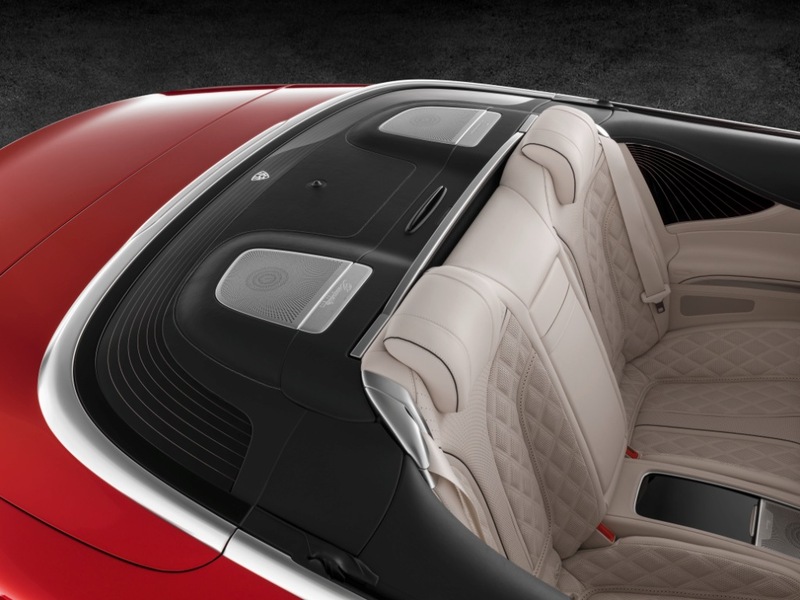 In addition to trim on the instrument panel and door panelling, the Mercedes-Maybach S 650 Cabriolet exclusively boasts a trim element on top of the soft top compartment with inlaid Maybach logo. As an option, the look can be refined with “flowing lines”. In combination with the other trim elements a unique yacht ambience is created – inspired by the Mercedes-Benz Style “Arrow 460-Granturismo” yacht. The flowing lines are generated by a combination of precision machining and traditional craftsmanship. As part of this, the substrate beneath the fine wood veneer of the three-dimensional trim element is exposed in a special process using a fine milling cutter (with a diameter of 0.8 mm). The individually milled lines follow the shape of the trim, thus reinforcing the three-dimensional effect. 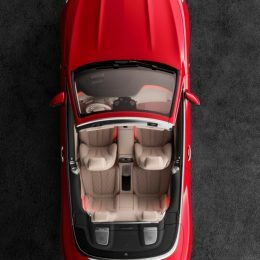 Exclusive to the Mercedes-Maybach S 650 Cabriolet are trim elements in designo nut brown magnolia – either with flowing lines or in a high-gloss finish. Nine additional interior colour concepts – from pastel yellow/black to porcelain/saddle brown – provide for further individualisation. 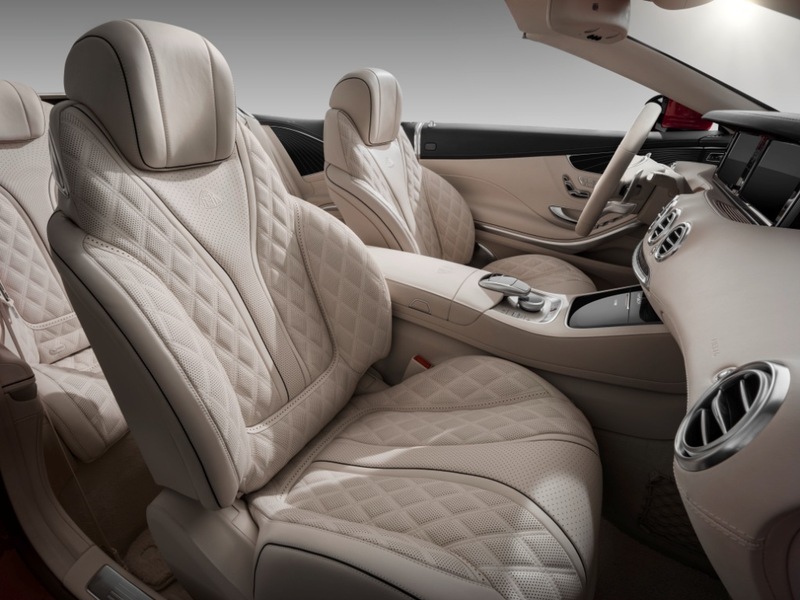 Mercedes-Maybach logos are located on the front side of the seats (embroidered), on the back of the head restraints (embossed) and also inlaid in the stowage cover of the centre console. 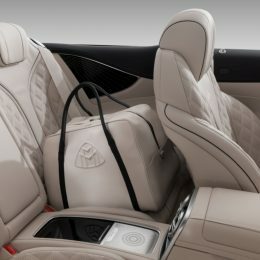 Other details include deep-pile floor mats, chrome-plated “1 of 300” lettering on the cup holder, and the steering wheel which features Maybach lettering on the lower bezel. 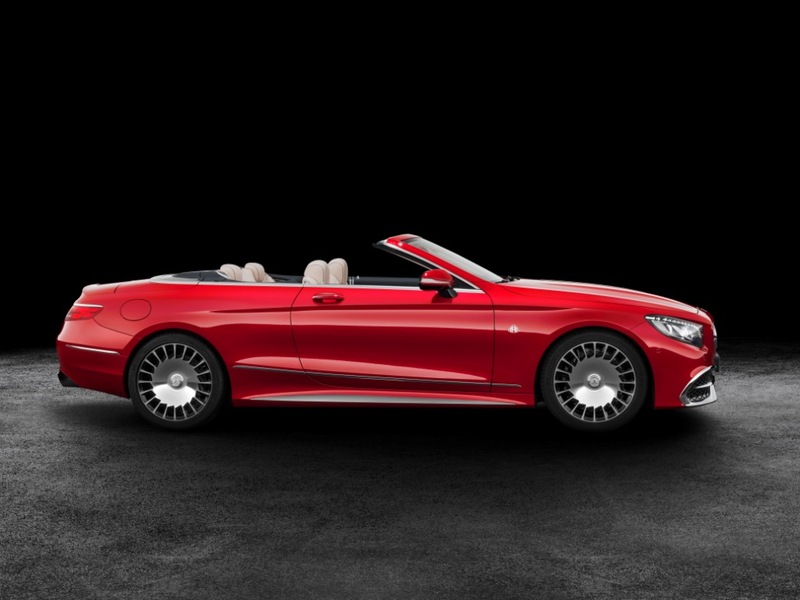 All of the optional extras of the S-Class Cabriolet come as standard on the Mercedes-Maybach, including AIRCAP, AIRSCARF and Swarovski headlamps. 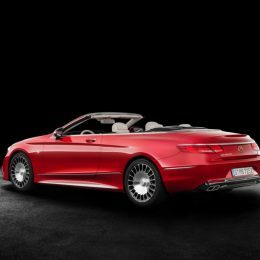 The Mercedes-Maybach S 650 Cabriolet is equipped as standard with an exclusive travel luggage set from MAYBACH – ICONS OF LUXURY. “THE AFFINITY” set comprises two large travel bags as well as two lifestyle bags made of original vehicle leather. 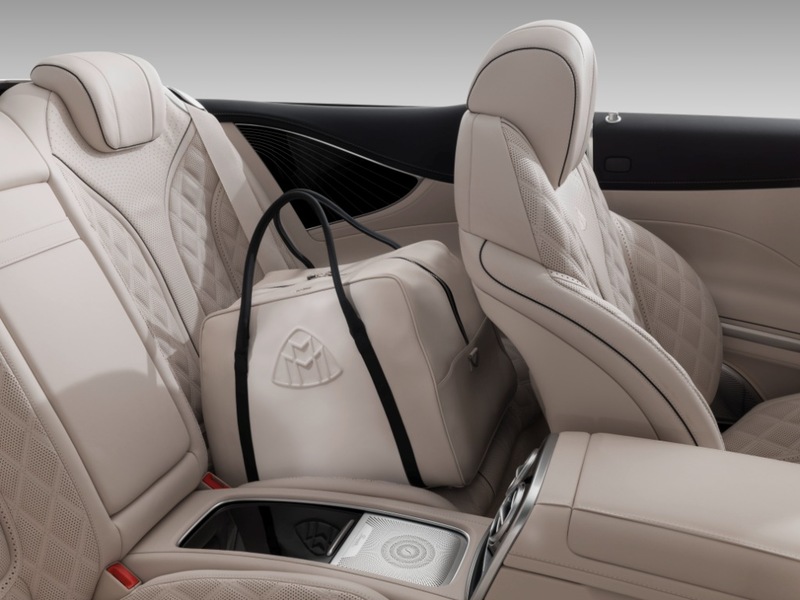 In terms of form and colour – which are coordinated with the interior variant selected by the customer – the bag set is tailored to match the Cabriolet. 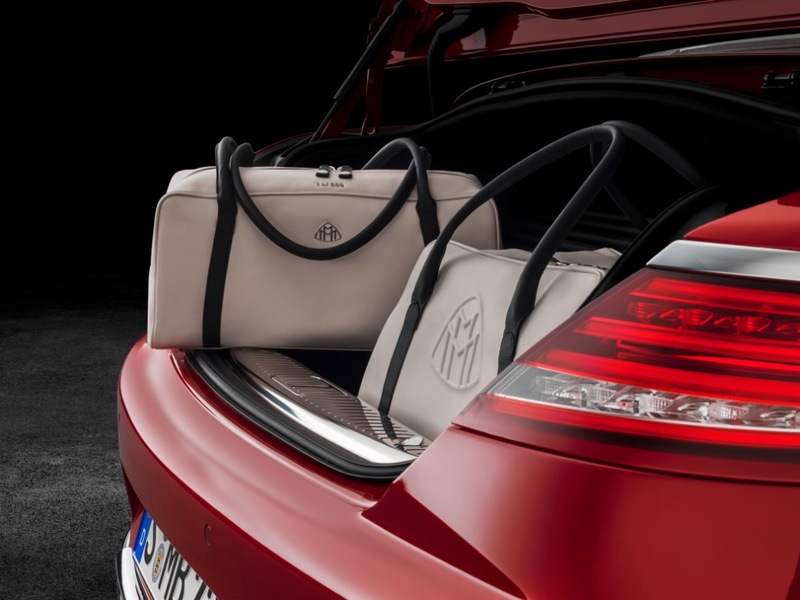 The bags can be securely attached to each other with straps to enable optimum use of the space in the boot. 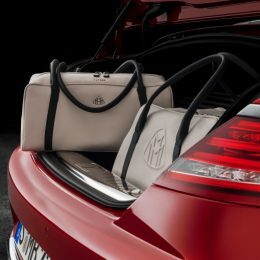 Just like the vehicles from Mercedes-Maybach, the elegant items of luggage from the licence partner MAYBACH – ICONS OF LUXURY GmbH meet high standards in terms of design, materials and the German art of manufacturing. 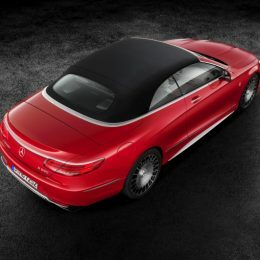 The scope of delivery of each Mercedes-Maybach Cabriolet includes a car cover made of high-quality fabric in the soft top colour, with diamond quilting and embroidered Maybach emblem and lettering on the bonnet. 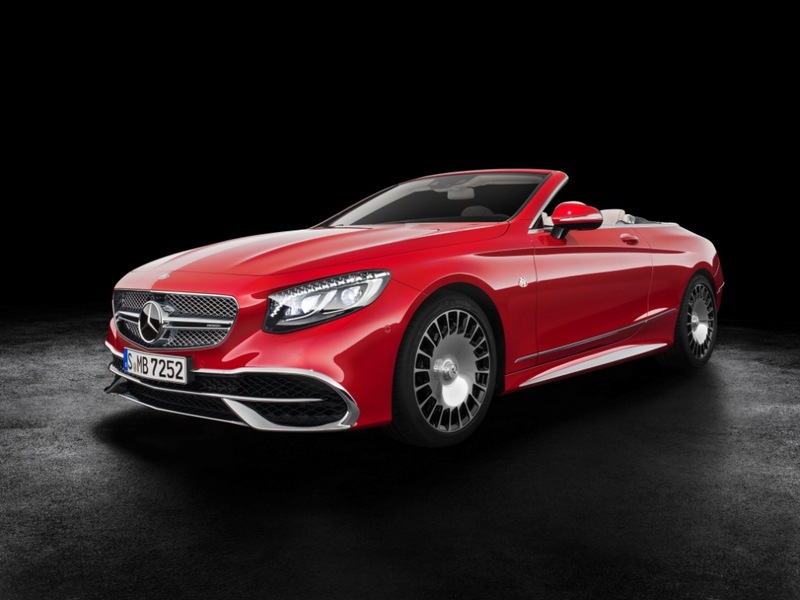 In addition, each Mercedes-Maybach Cabriolet is delivered with a special welcome pack. 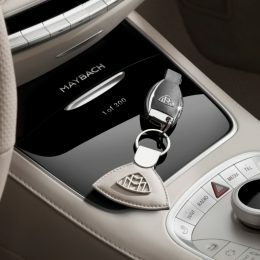 This comprises a key ring made of the nappa leather used in the vehicle and in the interior colour, with Maybach emblem and “1 of 300” lettering, as well as a certificate signed by Dr Dieter Zetsche, Chairman of Daimler AG and Head of Mercedes Benz Cars. 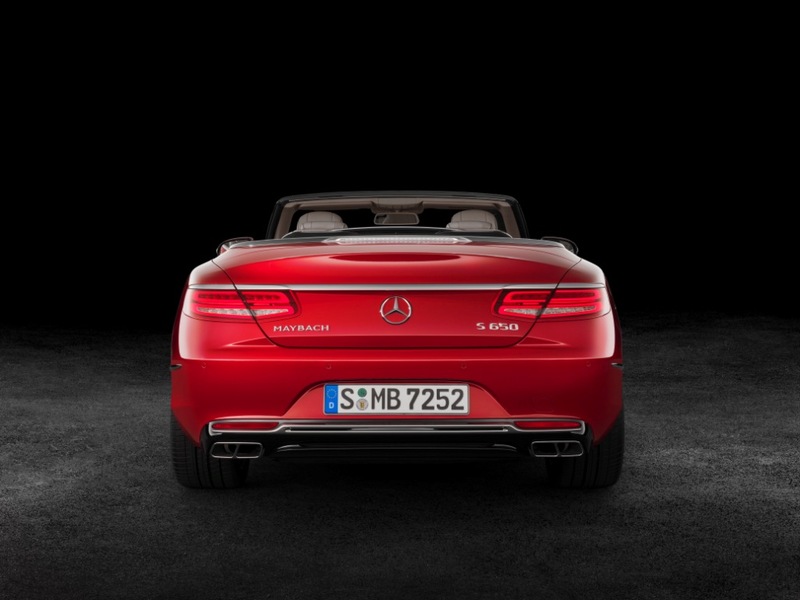 The luxury cabriolet’s superior drive system relies on the 6.0-litre biturbo V12 engine with an output of 463 kW (630 hp). Power transmission to the rear axle comes via 7G-TRONIC, while the AIRMATIC suspension with steplessly variable damping control ensures a special driving sensation. 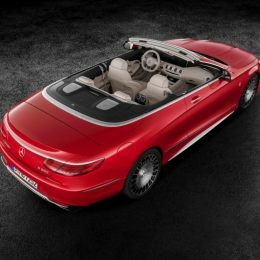 Mercedes-Maybach stands for the ultimate in exclusivity and individuality for status-oriented customers. 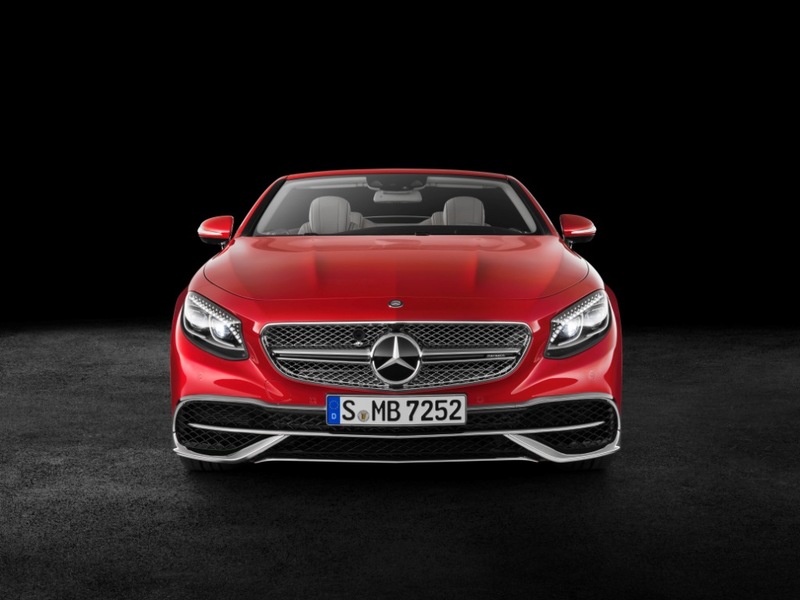 The current vehicles include the Mercedes-Maybach S 500 and S 600 models, launched in February 2015, which blend the innovative strength of the Mercedes-Benz S-Class with the exclusivity of Maybach. 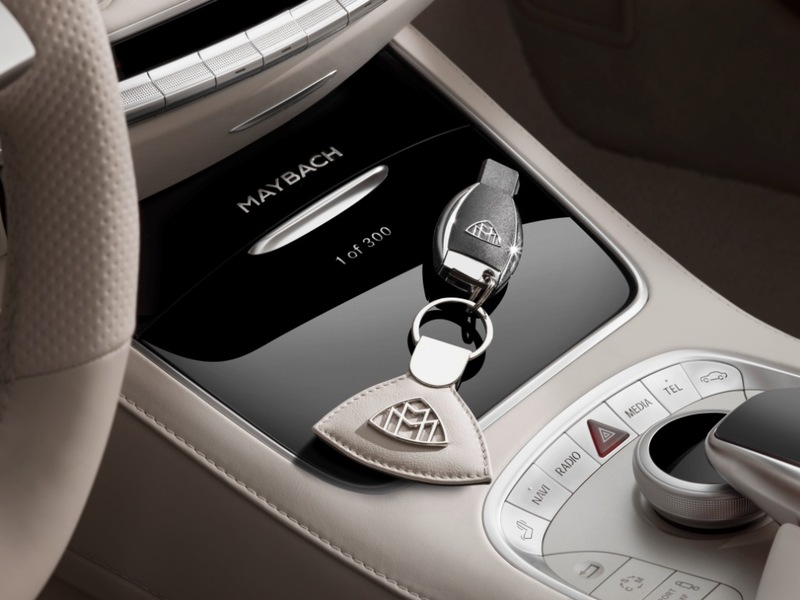 A special protection version, the Mercedes-Maybach S 600 Guard, is the world’s first passenger car to meet the highest ballistic protection level for civilian vehicles, VR10. 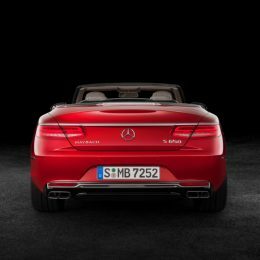 The latest models are the Mercedes-Maybach S 600 Pullman (introduced at the start of 2016) and the Mercedes-Maybach S 600 Pullman Guard (first deliveries scheduled for the second half of 2017), both with a vis‑à-vis seating layout.